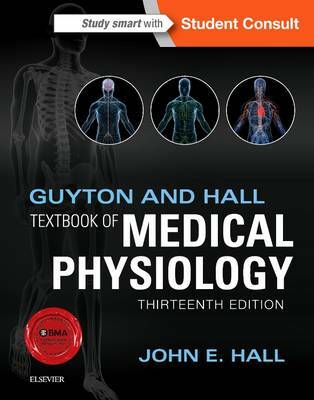 The 13th edition of Guyton and Hall Textbook of Medical Physiology continues this best-selling title's long tradition as the world's foremost medical physiology textbook. Unlike other textbooks on this topic, this clear and comprehensive guide has a consistent, single-author voice and focuses on the content most relevant to clinical and pre-clinical students. The detailed but lucid text is complemented by didactic illustrations that summarize key concepts in physiology and pathophysiology.